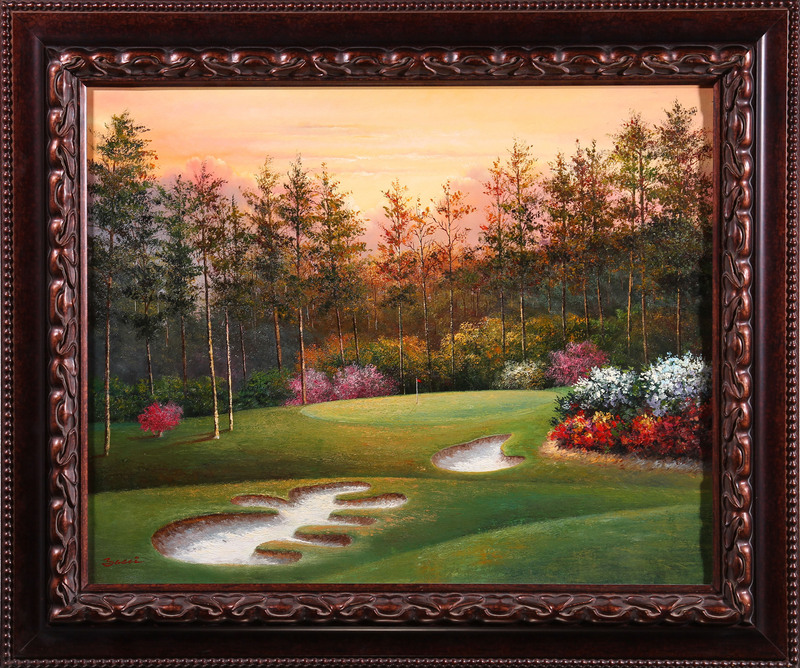 Centaur Gallery is proud to offer a highly unusual and beautiful unique oil painting of one of the most famous holes in all of golf….Augusta National’s toughest challenge, the famous Hole No. 10… ‘The Camellia’. This par four hole is considered the Master’s toughest to play. Amazingly this colorful work is a painting not a photograph! The artist is the internationally collected Jesus Bacci, one of South America’s premier landscape painters. This one of a kind oil on canvas showcases Bacci’s ability to blend colors to create rich, vibrant environments in his highly collected works. This unique work is offered at an incredibly advantageous price! 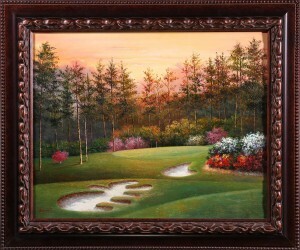 This is a wonderful opportunity for a golfer to own a truly extraordinary and beautifully framed oil. (702) 737 -1234 or visit our showroom.